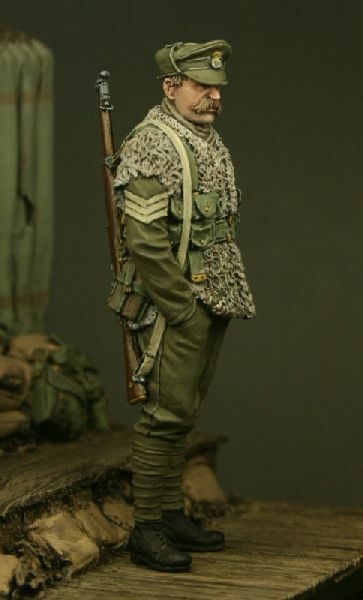 New for April 2013 comes one of a pair of figures representing the Royal Welsh Fusiliers as they would have appeared through the winter of 1914/15. 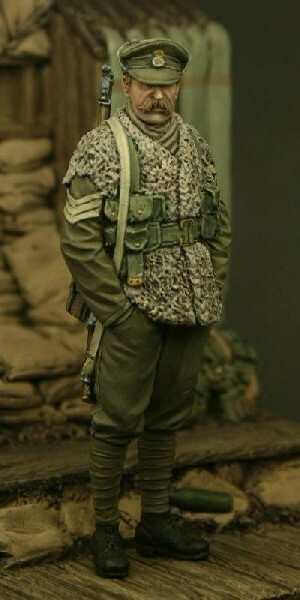 This figure, a Sergeant, is shown wearing a Gor Blimey cap (which replaced the wire supported cap) and an animal skin coat (usually goat or sheep) commonly known as a ‘stinker’ for obvious reasons! 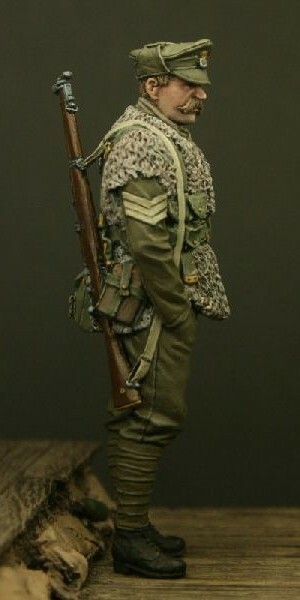 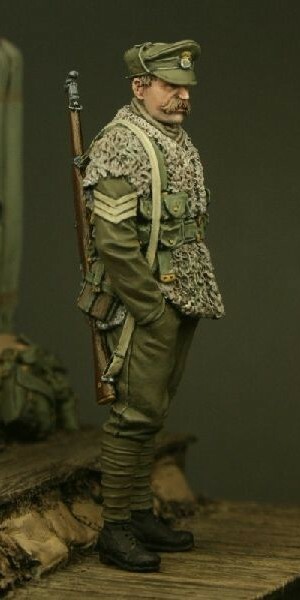 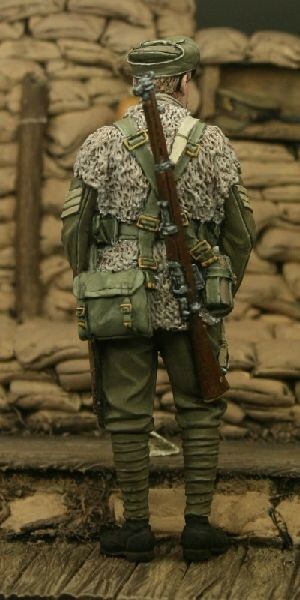 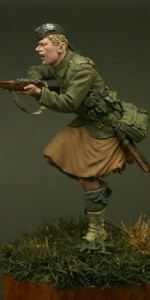 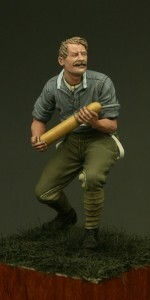 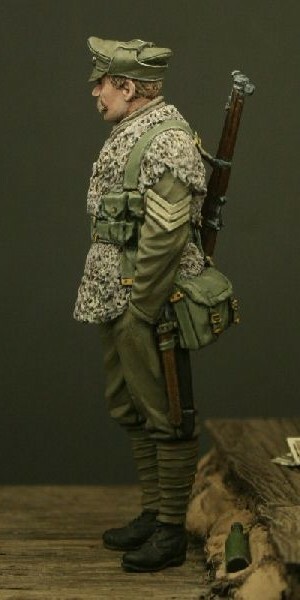 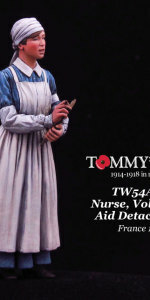 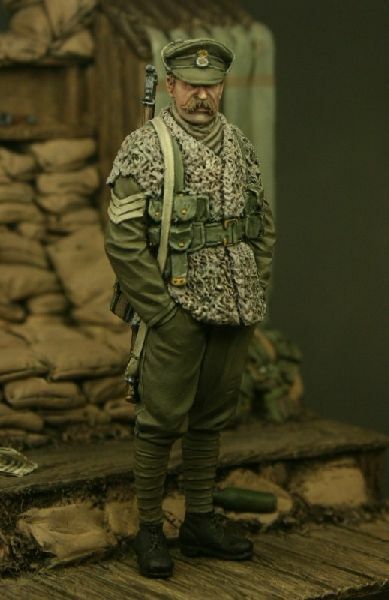 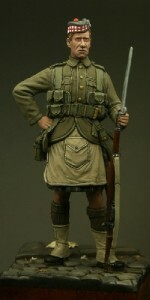 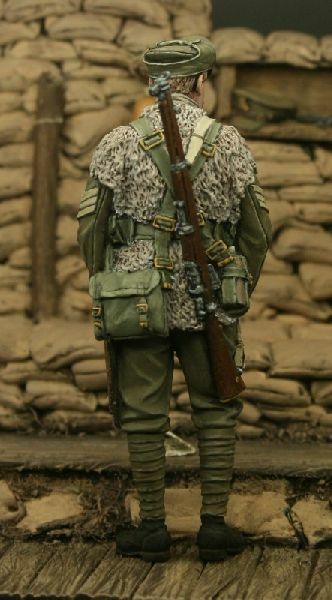 Please note that the trench base/diorama shown in the images is NOT included with this figure. 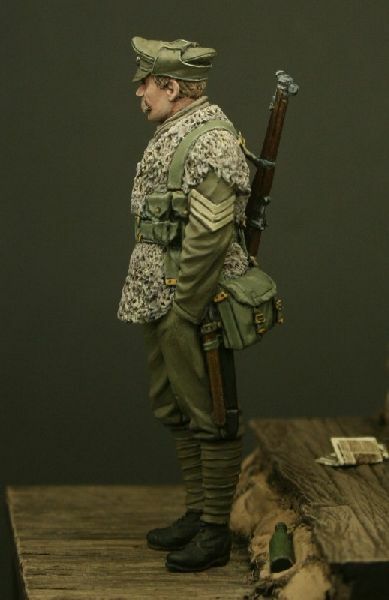 Please note that this figure is supplied in kit form and unpainted, it does require assembly and is not suitable for children under the age of 14. 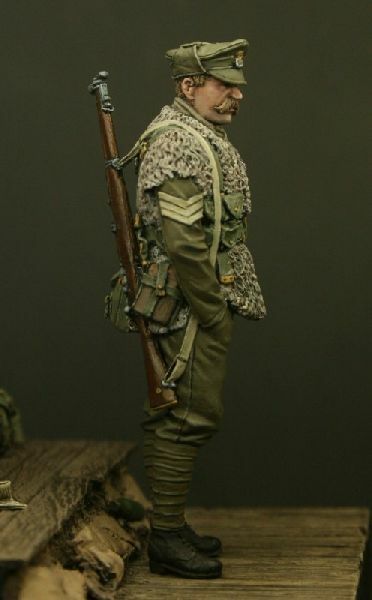 Be the first to review “TW32014 – Sergeant, Royal Welsh Fusiliers, Ploegsteert 1915” Click here to cancel reply.